News has reached the website of three SCODs that haven’t been heard of for some time. Karl Hauske writes to tell us that his boat Treanna SC105 is now based in Noumea, New Caledonia after he sailed her across the Pacific, I think from Venezuela, and that Peter Baker SC48 is undergoing a refit in Auckland. I have asked Karl to provide more details on his journey to aid any members are thinking of planning a similar voyage. 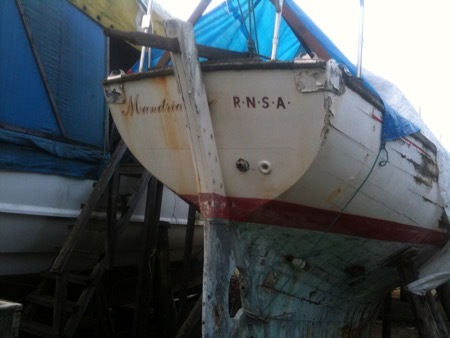 Also traced, is Mandria SC98, who is languishing in a Medway yard, in very original trim, unfortunately she needs replanking on the entire starboard side, a new mast and an engine. She is for sale for a small sum - please contact the webmaster for more details.